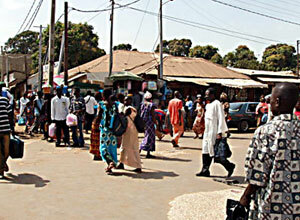 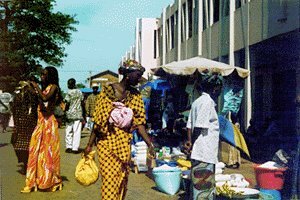 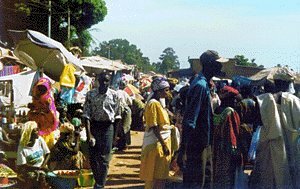 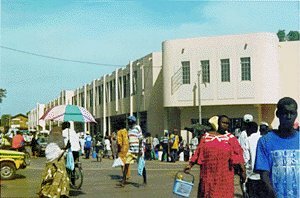 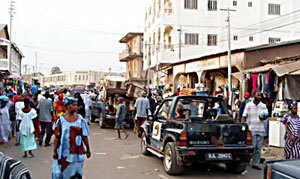 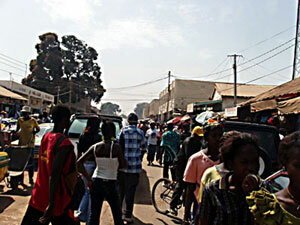 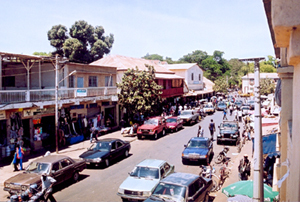 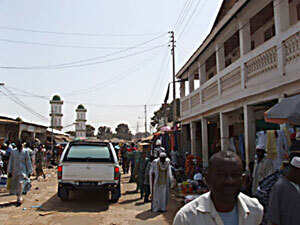 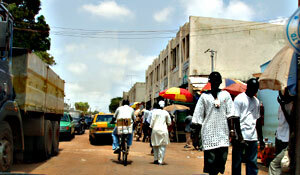 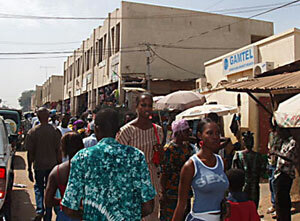 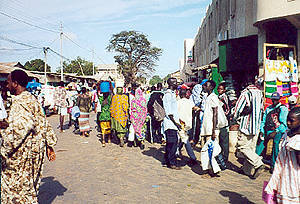 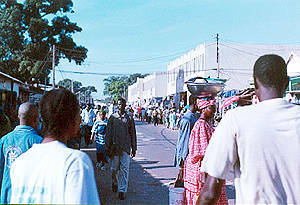 The largest conurbation in The Gambia. 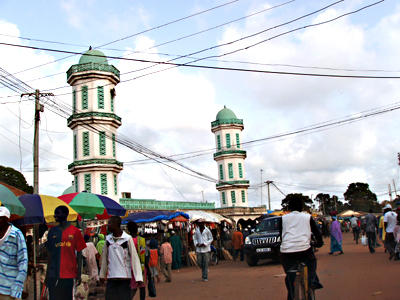 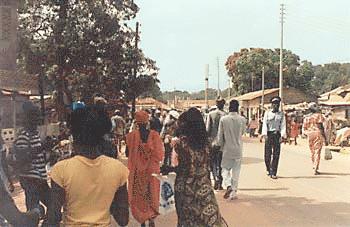 Serrekunda is composed of nine small towns which have expanded considerably in recent years as a result of a major rural-urban drift. 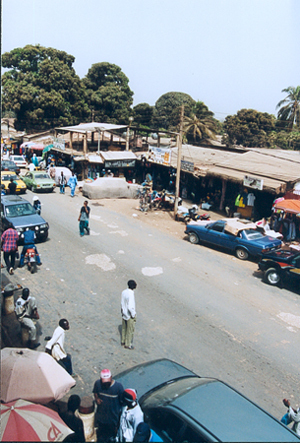 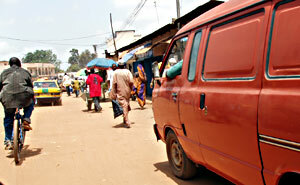 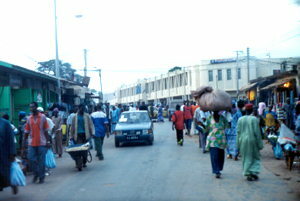 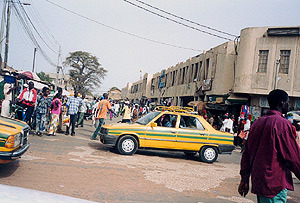 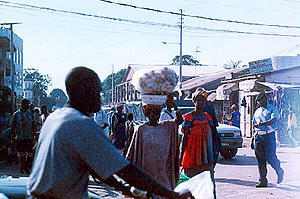 The following photos were taken in and around the market during the period 1989 to 2009. 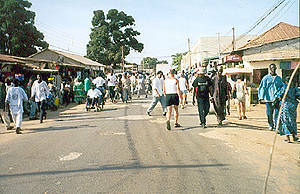 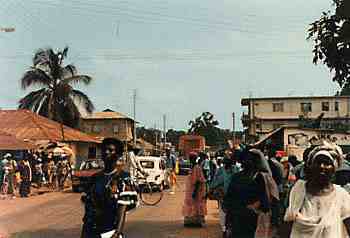 Trafic control around the market, November 2000. 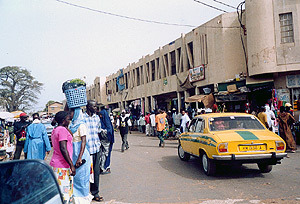 © 1996-2019 Nijii, All rights reserved.